MANY thanks to Mike Dixon, Aran Turnbull and the team at the Edinburgh Breast Unit, in the beautiful Scottish capital, for their hospitality in allowing Pink Ribbon to gain insight into the working life of a breast surgeon, and an overview of their current key priorities into breast cancer research. Arran: A large proportion of breast cancers (~70%) express estrogen receptor (ER+). This means they depend on this hormone for their growth and we can use endocrine therapy that blocks its effect to treat these cancers. However, around 30-40% of ER+ patients will develop resistance to this kind of therapy. A lot of our work focuses in predicting response to endocrine therapy, so we might be able to determine early on in a woman’s breast cancer treatment what the best management strategy might be. Our research is possible thanks to our large repository of samples collected at different points during treatment at the Edinburgh Breast Unit and to our unique set up, with close collaboration between the clinical team and our laboratory team. In recent years, we developed new genomic analysis techniques that helped us design a 4-gene predictive model (Edinburgh EndoResponse4 or EER4) capable of accurately predicting how post-menopausal women with ER+ breast cancer will respond to endocrine therapy. This model showed the importance of inhibiting proliferation early on treatment, helping us understand better how response to endocrine therapy works. EER4 was similarly accurate in a blinded independent validation study and was successfully validated in by RT-qPCR and at protein level using immunohistochemistry. From this work, we developed an immunohistochemical assay, the EndoAdjuvantII Clinical test (or EA2Clin), which combines key clinical variables with early on treatment protein expression levels to accurately predict recurrence-free and overall breast cancer-specific survival. Our most recent work, which we will be presenting at the San Antonio Breast Cancer Symposium this December, includes validation of EA2Clin in independent cohorts of both pre- and post-menopausal women treated with two weeks of a variety of endocrine treatments before surgery. Additionally, 2 prospective trials in Edinburgh and New York are currently in the consultation phase. Besides our work on predictive tests, we are also studying the clonal evolution of resistance to endocrine therapy. This is based on the idea that cancer arises from an accumulation of mutations which alter the regular functioning of healthy cells. We theorise that a single breast tumour can include a heterogeneous population of mutant cells and treatment can lead to the selection and expansion of resistant clones, which can gain predominance and lead to the loss of responsiveness to treatment. Work in collaboration with researchers in the University of North Carolina has identified ER mutations linked to the development of acquired resistance to different endocrine therapy drugs. These results will also be presented at SABCS. Following this, we are currently developing a method for the specific in situ detection of mutations. This aims to identify and visualise expressed mutants on breast tissue samples in the lab and will allow us to track the rise and development of resistance mutant sub-clones dynamically over time during treatment. We will present results from this work at SABCS next year. Mike & Arran: The multidisciplinary team (MDT) includes all physicians and healthcare professionals involved in treating patients, from those involved in the detection and diagnosis, to the pathologists studying the tissues, the specialists administering surgery, radio- or chemotherapy and the nurses who provide support and help co-ordinate the patient’s care. Breast cancers are heterogeneous in their pathology and biology and, as such, treatment options are often very diverse. Good communication between all members of the MDT is essential to ensure the optimal treatment strategies are selected for each patient. 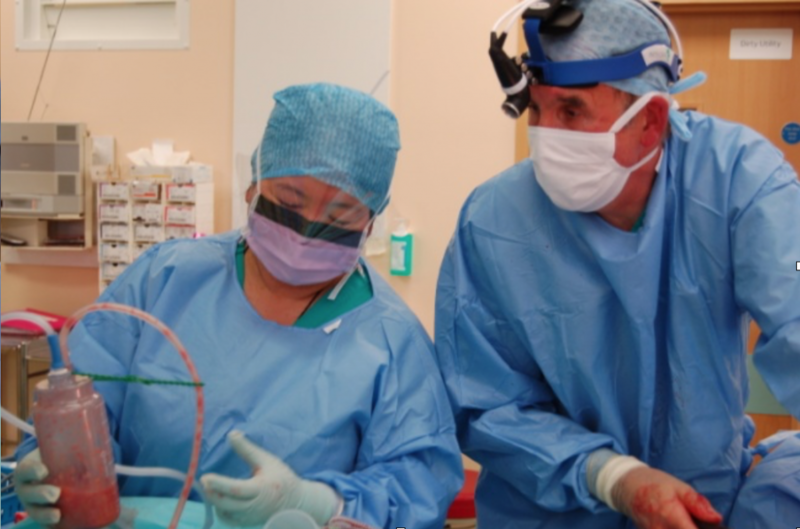 All patients in Edinburgh are discussed immediately following their diagnosis and after surgery to ensure each patients gets truly individual treatment. Similarly, a multidisciplinary approach is also essential in the work we do as a translational breast cancer research team. This allows us to identify the main issues being faced in the clinic (such as the development of acquired resistance to endocrine therapy) and to design studies to address them. This way we can gain better knowledge of the molecular workings of breast cancer and develop tools with potential clinical applicability. Once clinical tools such as the predictive and prognostic models we work on are adopted in the clinical setting, they add to the value to the MDT-led breast clinic model. Incorporating results obtained by laboratory scientists from a test such as EA2Clin provides further information likely to inform decision-making, helping us to improve patient outcomes and move towards a more personalised treatment of all patients with breast cancer cases. So guys, what are the general ambitions for the unit for the next 6-12 months? 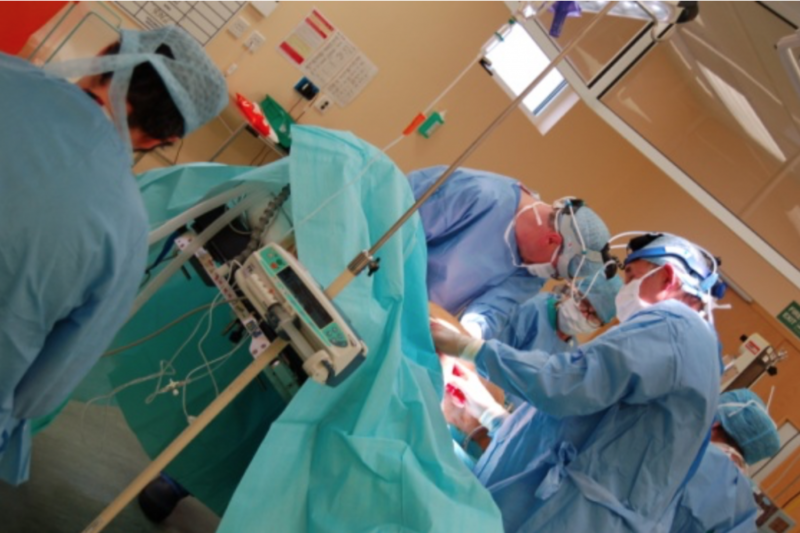 The Edinburgh Breast Unit has been at the forefront of improving outcomes for breast cancers. Our aim is to improve outcomes but to minimise treatment so giving patients what they need but minimising morbidity. We continue to increase the number of women with breast cancer who can save their breast while at the same time improving cosmetic outcomes. The technique of wide excision and immediate lipofilling was developed in Edinburgh is safe and is a huge advance. Our new technique of breast reconstruction combining fat with implants or flaps results in much better reconstructive outcomes. One problem for patients undergoing wide excision is in 20% the need to do a second operation because of failure to clear margins. The Edinburgh Breast Unit continues to evaluate new technologies to identify disease at margins during the first operation. 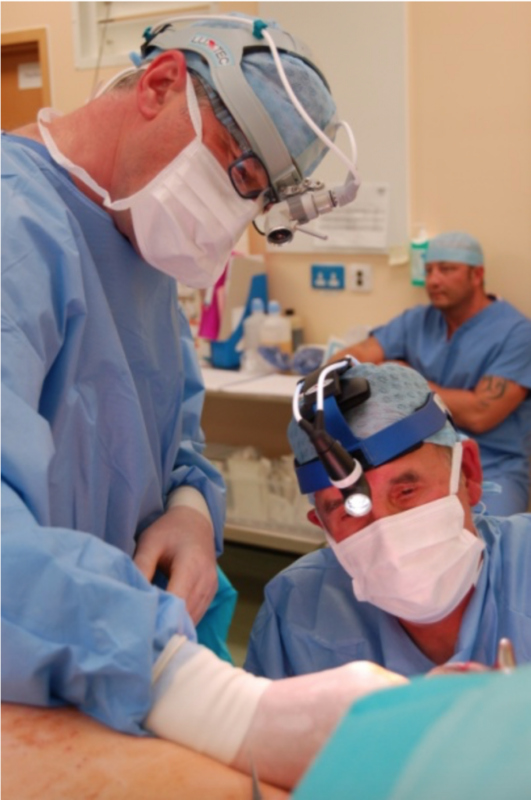 Our aim is to find the best device so that this can be used routinely for patients to reduce the re-operation rates. We wish to investigate newer techniques to mark cancers and involved lymph nodes that will help surgeon remove cancer and involved nodes particularly after chemotherapy. The whole focus is to provide better care and more focussed care with the best cosmetic outcomes. The ethos of incorporating breast and plastic surgeons with an incredible support team allow us to provide this. It is a team effort and it is a privilege to be a member of the team here in Edinburgh. Thanks, guys. See you next time.